Bright clear yellow straw color. Aromas and flavors of flower bush, peach, and lychee with a silky, bright, petillant, fruity light-to-medium body and a silky, compelling, breezy finish with elements of fruit salad, honeyed apple, and Meyer lemon with fruit tannins and no oak flavor. A lively, delicate gewurztraminer with refreshing acidity. 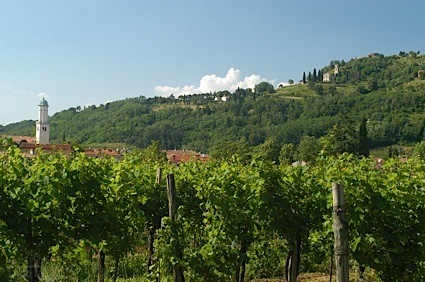 Bottom Line: A lively, delicate gewurztraminer with refreshing acidity. 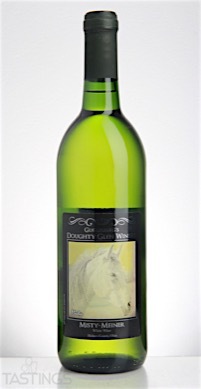 92 • Doughty Glen Winery NV "Misty-Meiner", Gewurztraminer, Holmes County 12% (USA) $18.99. 87 • Doughty Glen Winery NV Raspberry Wine, Holmes County 12% (USA) $18.99. 83 • Doughty Glen Winery NV Strawberry Wine, Holmes County 12% (USA) $18.99. 86 • Doughty Glen Winery NV Concord Wine, Holmes County 12% (USA) $12.99. 83 • Doughty Glen Winery NV "Laughing Blush", Holmes County 12% (USA) $14.99. 86 • Doughty Glen Winery NV Catawba Wine, Holmes County 12% (USA) $12.99. Doughty Glen Winery NV "Misty-Meiner", Gewurztraminer, Holmes County rating was calculated by tastings.com to be 92 points out of 100 on 9/28/2016. Please note that MSRP may have changed since the date of our review.